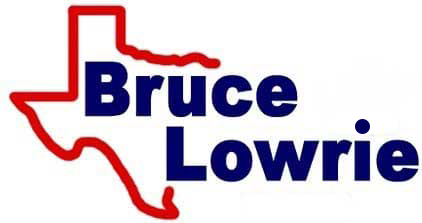 Our Bruce Lowrie Chevrolet sales department invites all new car shoppers in the North Richland Hills, Texas area to visit our dealership in Fort Worth to meet the impressive 2019 Equinox lineup! This small SUV is loaded with amenities the whole family will enjoy and offers the performance specifications drivers are looking for a 2019 ride to boast. Enjoy quick excursions around town or long road trips, snag a 2019 Chevy Equinox from our dealer today. We'll go over all of this SUV's standard systems as well as the comprehensive Chevrolet Care warranty your new car comes backed by! To enjoy the responsive level of power that you're looking for. Our Chevy sales team is familiar with all three engine options, including the benefits and differences of each, as well as the switchable All-Wheel Drive system that is available, so don't hesitate to ask us all your questions. Ready to get behind the wheel? Schedule a 2019 Chevy Equinox test drive from your Arlington, TX home now! Your on-road safety is important; Bruce Lowrie Chevrolet near North Richland Hills, Texas understands that. We invite you to secure a vehicle that works to protect all occupants, buy or lease a 2019 Chevrolet Equinox SUV from our new and used Fort Worth, Texas dealership! Offering Low-Speed Forward Automatic Braking, Lane Keep Assist with Lane Departure Warning, Forward Collision Alert, and a rear vision camera, you can take on Texas roads with confidence. This small SUV brims with advanced safety features and we invite all those searching for new cars for sale to visit us to learn more about the ways the 2019 Equinox offers peace of mind. If innovative technologies are what you're after, innovative technologies are what you'll get in the 2019 Chevy Equinox! This modern ride offers an array of driver-assistive features, as well as a variety of amenities passengers can put to use so that all occupants can relax and enjoy the road. This Chevy's Rear Seat Reminder helps drivers remember to check the back seat while Teen Driver technologies help new motorists develop safe driving habits. Stay connected with a 2019 Chevrolet Equinox, put this small SUV's Android Auto™, Apple CarPlay™, wireless charging system and 4G LTE Wi-Fi to use! Here at Bruce Lowrie Chevrolet, we believe drivers of all financial backgrounds deserve professional loan assistance so that they can take home the ride they want at the price they deserve. If you're interested in financing one of these agile Chevy Equinox models, complete our dealership's credit application before stopping by for a customizing experience of the lineup!